It was a traumatic experience … many months of solitary confinement followed by many more months of being in an overcrowded cell with 20 other inmates. He lost 50 pounds … and almost all hope…. For the first time in American history, the American government spoke up for religious liberty. This was the special meeting called by Mike Pompeo, Sam Brownback and Mike Pence to discuss the issue of granting religious freedom to religious minorities. Shelly and I attended this meeting along with 350 other people – more than 90% of which were from 84 other countries. On the last day of that event, Mike Pence – after hearing the horrific details of the persecution of religious minorities all over the world – stood up and created what I call the Pence Doctrine. He said U.S. foreign and military aid would be withheld from a country that did not protect religious minorities. He called out Turkey for its unjust holding of a pastor – Pastor Brunson – and warned them to act quickly to release him. They did not. The US implemented economic sanctions, tariffs and other pressures on Turkey. Its currency collapsed … its economy failed … it was a nightmare for the Turkish government. Many in the government simply wanted to kill the pastor. Others wanted to keep him in prison for the rest of his life. Pastor Brunson was welcomed home by President Trump in a special ceremony in the Oval Office. When he was suddenly and unexpected released on October 12th after being convicted and sentenced to 3 years in prison, President Trump immediately dispatched a military aircraft to bring him back to the U.S.
After stopping at an Air Force base in Germany for a medical checkup, Pastor Brunson and his wife Norine were sitting in the White House Oval Office within 24 hours of his release. All of the president’s staff mentioned above – plus members of the State Department and Congress who had all worked tirelessly for Pastor Brunson’s freedom – were in attendance. Pastor Brunson prayed over the president in the Oval Office. Pastor Bronson did not complain about Turkey. He didn’t complain about his imprisonment. He didn’t complain about his torture … he didn’t focus on himself. This was an incredible moment. This reminded me so much of Paul in the book of Philippines where he prayed for the church of Philippi even though he was in jail. Pastor Brunson asked God to pour out His Holy Spirit on President Trump … and to give him supernatural wisdom. To their credit, FOX media had long segments on the press conference and the prayer … and other media had short ones. It was shameful treatment that was simply anti-Trump, not reality. Pray for the Pastor Brunson and his family. That Pastor Brunson will be restored physically and emotionally. That God will give him a vision of future ministry. 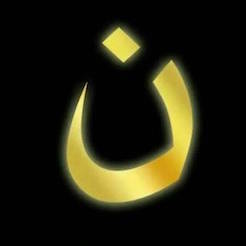 Pray for the Christians in Turkey that are being persecuted. Pray for the people in Turkey to come to know the Lord. Feel free to send Mike Pence, Mike Pompeo, Sam Brownback and the president a note of gratitude for helping to free Pastor Brunson. Ask them to continue to help persecuted minorities throughout the world – including other Christians being persecuted in Turkey. Pastor Brunson – an evangelical pastor from North Carolina – had sacrificed 23 years of his life to reach the people of Turkey for Christ. He pastored a church in Izmir that was attended by both Turks and Kurds. The diverse congregation raised eyebrows with the Turkish government – just as a congregation of Jews and Samaritans in Galilee in the first century would have raised the suspicions of the scribes and Pharisees. Pastor Brunson was eventually arrested and imprisoned on false charges of threatening Turkey’s national security and attempting to overthrow the government. Because they didn’t like that his church was growing and that both Turks and Kurds were coming to Christ. They used the fact that there Kurds in his congregation as an excuse to accuse him of supporting and colluding with the opposition Kurdish group that had attempted a military coup against President Recep Erdogan in 2016. During that time, he missed his daughter’s wedding and his son’s graduation. He was only allowed to communicate with his wife by phone through a prison glass window for 35 minutes – once each week. After just one day of testimony, the judge adjourned the hearing for another month and returned Brunson to prison. Since the welcome home ceremony in the White House, Pastor Brunson and his wife have been interviewed on CBS This Morning and on Hannity. Each interview is about 5 minutes. You can watch them here and here. If you’d like to watch the entire White House press conference (24 minutes), click here (https://www.youtube.com/watch?v=mpk76ZKfGys). Praise God for His intervention in the plight of Pastor Brunson! A giant thanks to our current administration for their assistance! As a Seventh-day Adventist Christian, I am a follower of world-wide Christian persecution. Thank God that He is in control. It is He who puts men in power and removes them at His will. I pray He will do what He did in 2016 and confound all the “experts” to save our country from chaos this November and in 2020. Thank you, Mr. Huey, for all you do!